Donald Trump came to office in part on his promises to “drain the swamp”—as an independently wealthy outsider candidate, he would ostensibly be insulated from the influence of special interests that had corrupted Washington politics At least in this regard, Trump follows a long tradition. For as long as there has been a US government (and going much, much further back), there have been reformers labeling it as corrupt and putting themselves forward as the ones to clean it up. But anticorruption reformers quickly come up against the reality that special interests have a great many instruments of influence. Politicians may be swayed by campaign contributions from political action committees (PACs), promises of lucrative employment or consulting opportunities after they leave office (recall the allegations that Hillary Clinton was corrupted by the six-figure speeches she gave to Wall Street), or favors given to friends or family. If we are to have any hope of constraining special interests in politics, it is important to acknowledge the full set of instruments of influence they have at their disposal. In our own research, we have documented that—in an ironic twist—companies’ philanthropic efforts may serve at least in part to influence legislators, presumably to pass laws and regulations that will serve shareholder interests rather than the interest of the public. In a new Stigler Center working paper, we show that the anecdotes that journalists and activists have uncovered are representative of a broader pattern best explained by companies using their foundations to curry political favor. We find that donations from companies’ charitable foundations follow a remarkably similar pattern to firms’ more overt form of political influence—their PAC spending: both types of money tend to flow to the same congressional districts, and both increase when a district’s member of Congress sits on a committee important for the company’s business interests. We can also look at more “personal” links connecting politicians to corporate foundation money: nonprofits with legislators on their boards tend to get more corporate foundation money, particularly if the politician is on a committee that is relevant for the business. A rough back-of-the-envelope calculation suggests that politically motivated charity by firms plausibly amounts to well over a billion dollars a year, swamping the scale of corporate PAC money. Why use symphony donations rather than, say, campaign funds or lobbying efforts to influence government? First, PAC contributions are subject to limits in place for nearly half a century, but charitable giving is not. Additionally, it’s relatively easy to look up how much, for instance, Goldman Sachs’s PAC gave to congressman Sean Maloney (D-NY) in the 2016 cycle since, under rules passed in the 1970s, all such donations must be publicly disclosed. (Maloney got $10,000.) But following the money from the Goldman Sachs Foundation to Maloney involves, as we’ll see, more detective work. Finally, while PACs have a bad name (at least on Main Street if not on K Street), corporate philanthropy allows a business to create goodwill in a community while simultaneously pleasing legislators who might oversee the awarding of government contracts or designing of regulations. We start by showing that, across congressional cycles, the grants given by a company’s foundation tend to shift to districts that also receive more PAC money, at least suggesting that some part of charitable giving may be politically motivated. We then show that shifts in both PAC and charitable donations are driven by some of the same political considerations. When a politician joins a committee that’s important to the firm’s business interests (think of Northrop Grumman and John Murtha joining the Armed Services Committee, a committee that the firm spends a lot of money lobbying), flows of both corporate foundation and PAC money into that congressional district increase. Similarly, when a member of Congress leaves office, there’s a short-term drop in both corporate charity and PAC money flowing into the district, as a seasoned (and influential) legislator is replaced by a freshman. As an alternative measure linking politicians’ interests to individual charities, we use information on board memberships from politicians’ annual financial disclosures. We show that a nonprofit is more than four times more likely to receive grants from a corporate foundation if a politician sits on its board, after taking account of the nonprofit’s state as well as fine-grained measures of its size and sector. While there are various reasons that a nonprofit with a member of Congress on its board might also get more corporate money, we also provide evidence that at least some of the bump to donation flows is political in nature. In analyses paralleling the findings described in the preceding paragraph, we also find that a foundation is more likely to give to a politician-connected nonprofit if that politician sits on a committee that is often lobbied by the firm. 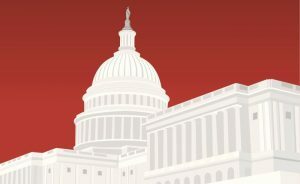 While the link between a politician’s importance to a company and PAC contributions may be somewhat stronger, the money flowing through corporate charities dwarfs PAC spending: in the 2014 congressional election cycle, for example, annual PAC spending totaled $464 million, as compared to the nearly $18 billion in annual corporate giving. Our calculations indicate that, even after accounting for the nonpolitical nature of much corporate charitable giving, the political component still very likely swamps PAC giving. There is good reason to have such rules in place. 501(c)(3) organizations enjoy tax-exempt status, so letting them engage in politics amounts to a taxpayer subsidy of corporations expressing their political voice. To be clear, we are certainly not opposed to companies spending profits on doing good for the world. And many of the circumstances in which companies can “do well by doing good” should be celebrated, not condemned. If companies protect the environment, help the poor, and pay living wages in order to please their customers and make their employees happier and more productive, that may be the ultimate win-win for business and also for society. We would similarly never suggest limits on corporate philanthropy—not only would it curtail corporate giving that is nonpolitical, but as we emphasized from the outset, companies would simply shift their money and efforts to other channels of influence. By documenting charity-as-influence we hope to highlight the need to follow the money in politics broadly speaking; and if we’re to try to regulate influence peddling, we’d do well to take account of the many channels by which corporations can buy influence. 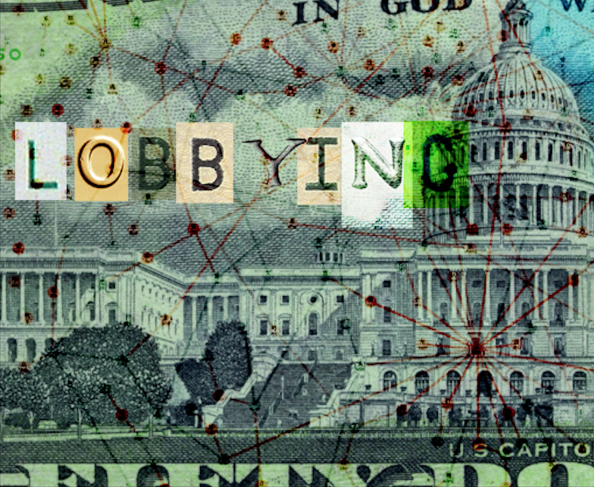 What we would support, unambiguously, is greater disclosure of corporate-funded activities, which provides more information for voters to decide whether relations between politicians and private businesses are acceptable, and hopefully to put pressure on politicians to avoid any exchange of favors running counter to the public’s interests.